Doing crafts with children is a great way to nurture their creative sides, and have them understand that the only limit to what they can create is their imagination. But then, kids can only use what you’re able to provide. Instead of choosing expensive craft materials that will run up the bill quicker than any child can make use of them, simple foodstuff can often serve as great building blocks for some great craft ideas. Ideally, you provide a wide array of different shapes and colors to work with. This way, you’ll probably end up surprised at what a child’s mind can accomplish when given enough to work with. Macaroni art has been a staple of arts and crafts for so long that it’s practically cliché. There’s a good reason for that, however. 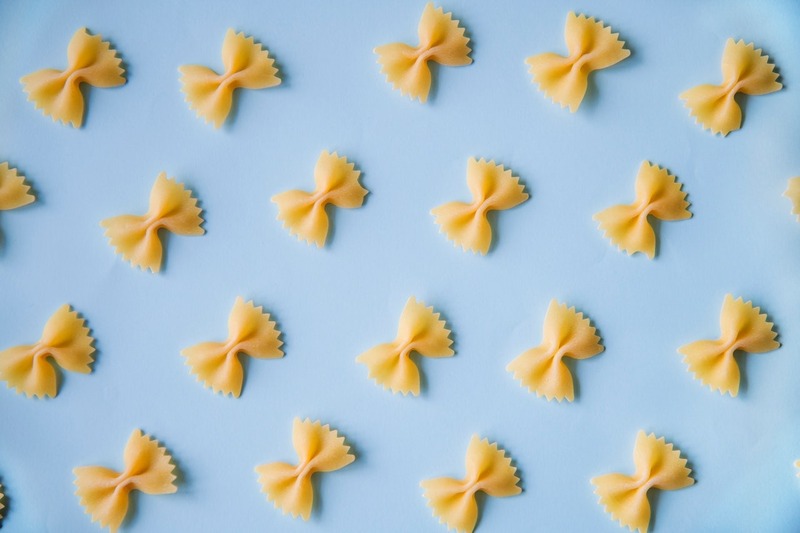 That’s because pasta is durable and comes in a wide array of shapes and sizes that make them practically the edible equivalent of Lego blocks. Buy as many different pieces of pasta as possible, and mix them to give children an opportunity to bedazzle what would typically be boring crafts exercises. Instead of coloring in their Thanksgiving turkeys, let them use pasta pieces to substitute as the feathers and see where that takes them. Cereal is another excellent way to get fun shapes to use in bulk. These can either serve as versatile building blocks that can be combined with other materials or as accent pieces. Any cereal with marshmallow pieces can add much-needed color and accents to otherwise drab art. Make sure to set boundaries as to when the materials are edible and when they aren’t, though, or you’ll have children eating things they shouldn’t. The shells and the nuts themselves can both be a great addition to your crafting repertoire. Go with some boxed wholesale nuts to let children get downright squirrely with imagination. Walnut shells can be effectively bedazzled with a little bit of paper and glue, or different nuts can come together to make beautiful mosaics that have earned their space on the fridge. Want to bring out the Van Gogh dwelling inside each child out there? Hard-boiled eggs make a fantastic canvas any time of the year, not just around Easter time. All you need is a few hard-boiled eggs, some pastel paints, and a paintbrush to make your next craft’s circle one to remember. Any crafts ideas using these materials can be a great way to keep kids entertained for hours at a time. The benefits of using these materials are that they aren’t dangerous for children to handle and are extremely inexpensive to buy in massive quantities. Not only that, the sheer range of available crafts is essentially unlimited. Pair these foods with dyes, paints, and just about anything else, and you’ll have yourself a winning combination.